Answer: Your trapper is not very good. 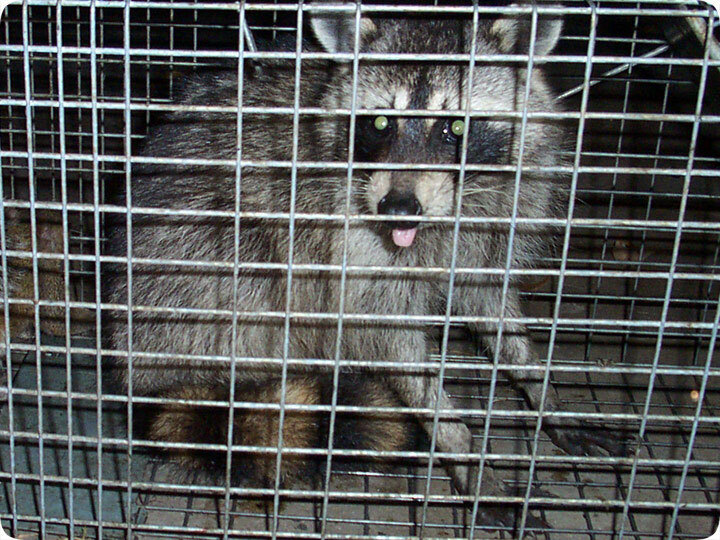 The raccoon is trap shy, and will not enter the trap. Here is how it must be done - the babies must be removed, by hand, from the attic. Then the babies (alive of course!) are set in the back of a trap as bait - use a different type of trap, such as a solid-wall trap, so that she'll be less cautious. The babies must be restrained of course, in a separate holding unit, like a small cage or tupperware with air holes drilled. She WILL go in for her babies, and then you'll have them all. Relocate far away, and seal up the opening. I've removed over 500 baby raccoons in my career, often with the mother nearby. The mother raccoon has not attacked me once. She paces back and forth a few feet away, but never attacks. If in doubt, and due to the tough location, just use a snare pole to grab them remotely. The trapper could also use Raccoon Eviction Fluid, and that will make the mom move out on her own, the young with her.